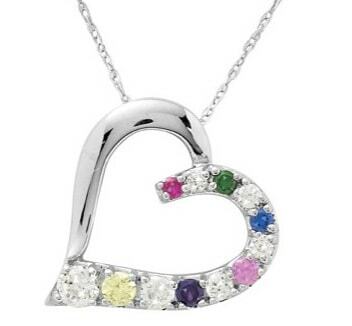 Thrill Mom, Grandma or your wife with a necklace that honors her love of her family. 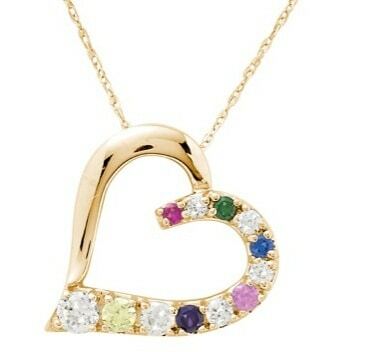 Add up to 12 birthstones to this lovely heart-shaped charm. Available in your choice of 10k or 14k yellow or white gold.